The Secretary of State has signed off on a Belfast Region City Deal which could deliver an investment boost worth more than £1 billion to the Northern Ireland economy. The Secretary of State for Northern Ireland, the Rt Hon Karen Bradley MP, has today (26 March 2019) signed the Heads of Terms – an outline business case – for the Belfast City Deal, alongside the Belfast Region City Deal partners and the Northern Ireland Civil Service. This is a major milestone towards the completion of the first City Deal for Northern Ireland, which will see the UK Government invest £350 million into the Belfast Region over the next 15 years. It is proposed that this figure will be matched by the Northern Ireland Executive. 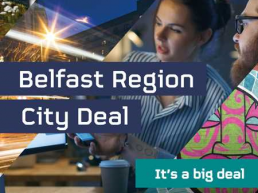 The City Deal will be further bolstered by co-investment of upwards of £150 million from Belfast Region City Deal partners, and investment by the private sector is anticipated to bring the total investment package to over £1 billion. 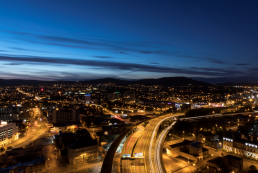 “Today’s signing of a Heads of Terms for the Belfast Region City Deal is a significant milestone in our journey towards substantial investment in inclusive regional regeneration”. “It’s testament to the power of collaboration and partnership and we look forward to progressing plans with our wide range of partners, including our colleagues working to deliver a programme of investment for Derry-Londonderry and the North West region. The Belfast Region City Deal is a bespoke package of funding and decision-making powers negotiated between central government and local authorities, that has the potential to transform our economy for the better of everyone. It is hoped that the deal will see the delivery of more than 20 projects to help create up to 20,000 new and better jobs. The ambitious programme will help grow the region’s business strengths in life and health sciences; ICT, digital and creative industries, and advanced manufacturing. It will also support digital development and tourism-led regeneration. Business cases will now be prepared for the 22 projects proposed under the Belfast Region City Deal. The Belfast Region City Deal (BRCD) comprises the six councils of Antrim and Newtownabbey Borough Council, Ards and North Down Borough Council, Belfast City Council, Lisburn and Castlereagh City Council, Mid and East Antrim Borough Council and Newry, Mourne and Down District Council, working in partnership with Queen’s University Belfast and Ulster University, Belfast Metropolitan College and Northern Regional College, South Eastern Regional College and the Southern Regional College. 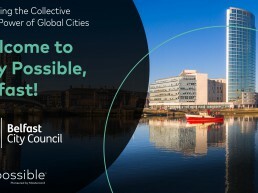 For more information on the proposed programme of investment, visit www.belfastcity.gov.uk/belfastregioncitydeal and follow #BRcitydeal on Twitter. 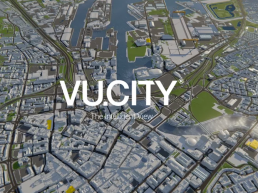 We have been working with partners to explore the future of planning and the potential of new digital technologies to support systems that are more responsive to radical change and more centred around the future needs of citizens. Belfast Region City Deal partners welcomed news of £350 million investment from Treasury announced by Chancellor Philip Hammond in the Autumn Budget, 29 October 2018. As part of the deal, the NI Executive is expected to add at least a further £350 million and councils will contribute over £100 million.